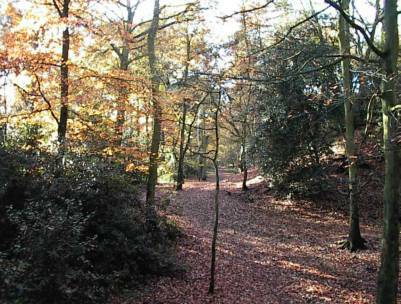 Dudley’s only permanent exposure of Drift occurs beneath the canopy of mature trees which comprise Norton Covert. This was formerly a sand and gravel quarry and is located to the west of the Norton Road, Stourbridge at SO887822. Exposures are limited to loose sand and gravel faces near to the tops of the remaining quarry edges. The site is excavated within the edge of a large mound of sand and gravel which extends into fields across the road (to the east and south of the road) where it was not worked. This deposit gives rise to a unique ‘hummocky’ topography in these fields which is characteristic of many fluvioglacial sand and gravel deposits of better known glaciated areas of Britain. 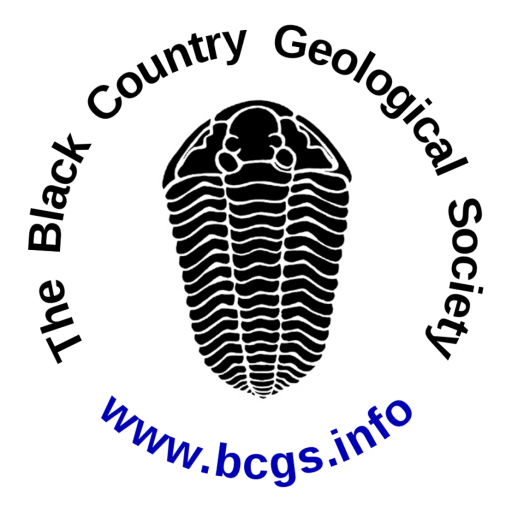 These deposits are not associated with till (boulder clays) and are thought to represent the dumping of glacial outwash materials in banks by rivers flowing to the south of the limit of the glacial ice front. They are probably of Devensian age when the climate was mainly cold with occasional temperate phases. The woods are a haven for wildlife and spring is a very good time to visit the site for both the wildlife and prior to the onset of full summer vegetation. The geology of Norton Covert is a story of scorching deserts and icy wastes. There are two distinct rock formations present. The underlying bed rock (country rock) is a red-orange, fine to medium grained sandstone with occasional thin mudstone beds belonging to the Wildmoor Sandstone Formation (formerly known as the Upper Mottled Sandstone) which was deposited in the scorching deserts of Triassic age (circa 220 million years ago). The sand grains are mainly white quartz coloured red by a thin veneer of iron oxide (rust). Lying on top of the Wildmoor Formation is a superficial capping of soft sands and gravels which were deposited in the Ice-age (glacial period) about 20,000 -25,000 years ago. Unfortunately the Wildmoor Formation is no longer exposed at Norton Covert but when it was a working sand pit, a section showing a thickness of about 8.5m of sands and gravel resting on about 3m of sand rock was visible in the South Western corner but this is now buried beneath overburden which has accumulated around the perimeter. The Wildmoor Formation can still be seen in Stourbridge along the river Stour west of the Bonded Warehouse. Small but very important exposures of the Ice-age sands and gravel remain in the southern rim of the Covert. 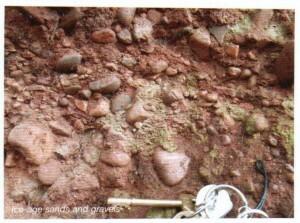 Here, thin layers (laminae) of coarse red-brown and buff sands with thicker pebbly sands can be seen. The ground surface at the southern end of the covert is still undisturbed and shows abundant pebbles. Although both of these formations were once exposed in many quarries, a combination of industrial decline and redevelopment as well as natural weathering of the loosely consolidated sediments has meant considerable loss to the nature conservation resource, hence the importance and ranking of Norton Covert as a geological SINC. Download Norton Covert Leaflet, (PDF 1,040KB).